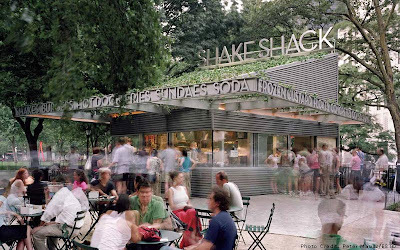 Last night seemed like the perfect night to go to the Shake Shack in Madison Square Park. I wasn't the only one who thought this, we waited in line for almost an hour. It was well worth the wait! I highly recommend the Shack burger. The restaurant was conceived and developed by Danny Meyer's Union Square Hospitality Group, which maintains a variety of restaurants in the Union Square area. 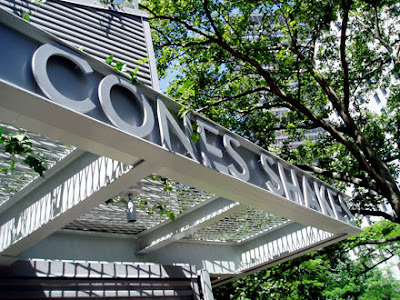 The building was designed by SITE, with signage by Pentagram's Paula Scher. Love her! i love the interesting facts on my favorite places in NYC! thanks!